The US Open Tennis Tournament at Flushing Meadows, NY is underway and at the heart of the enormous task of managing and visualizing the event data is Bannister Lake’s Chameleon. Chameleon software is handling thousands of datasets, moderating and distributing schedule information, matches, standings, social media, news, weather and more. Cloud backup is also provided by Chameleon. Data projects of this magnitude require collaboration with multiple partners. Bannister Lake is working alongside Marty Dormany of The Academy of Lower Thirds and the team at Van Wagner Sports and Entertainment. Through the combined efforts of these talented professionals, tennis fans throughout the Billy Jean King National Tennis Center receive live updates and vital tournament information from place-based digital signs throughout the facility. Chameleon is not only parsing and managing data, it is also providing the event’s scorebug and ticker solution. In all, 11 different ticker feeds are being generated and feeding various screens around the venue. 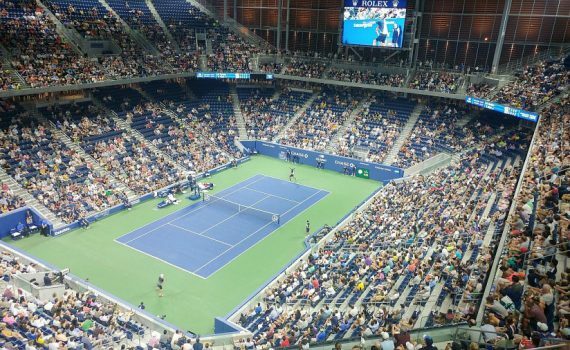 In-stadium scorebugs are being displayed in the Arthur Ashe Stadium, Louis Armstrong Stadium, and in The Grandstand. In addition to Chameleon, Bannister Lake’s Community data service is being used by production teams to input content. 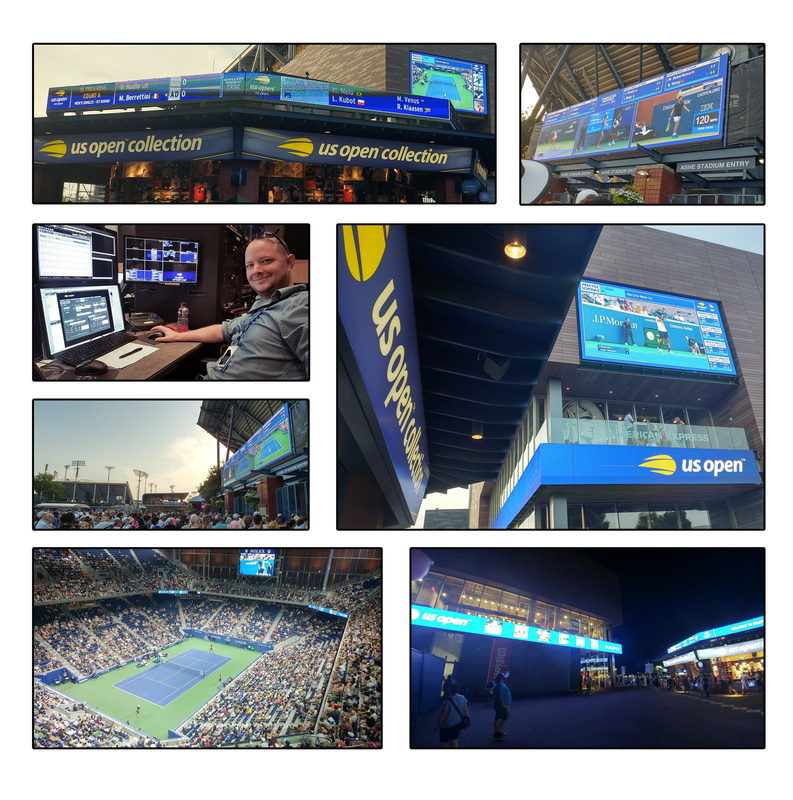 The US Open signage graphics are being run off 7 Ross Video XPressions outputting to 15 channels displaying 15 different screen layout styles using XPression Tessera and controlled through Ross Video DashBoard. Chameleon’s tight integration with Ross Video products assures operational efficiencies and outstanding performance. Bannister Lake’s Chameleon with its powerful data engine, innovative parsing, versatile data reformat tools and ease of operation and setup make it the industry’s best choice for complex, mission-critical data visualization tasks.